On December 18th 1892 at Saint Petersburg’s Mariinsky theatre there took place the première of a double bill, one of whose items will go down in musical history as perhaps the most magical, beautiful, enticing and enchanting ballet score ever written. 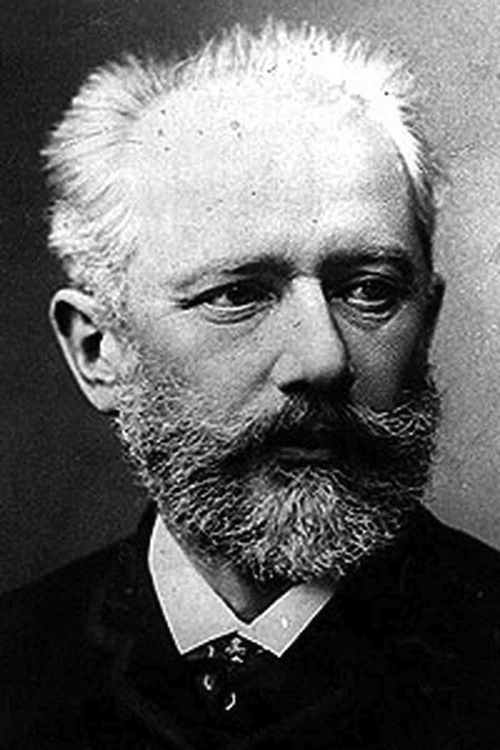 Tchaikovsky received a commission from choreographer Petipa with precise instructions as to how long each dance piece should be right down to the numbers of bars they should contain. The composer at first wasn’t too convinced by the Hoffman scenario although he later started to enjoy writing the commission. Imagine his disappointment then when the ballet turned out to be a flop. Today the ‘Nutcracker’ is almost a definition of classical ballet and we are truly showered with Nutcrackers in Lucca this year. Not only did I attend the marvellous Moscow Ballet production at Lucca’s Giglio theatre last Tuesday but I’ll be able to return to the city to hear a live relay from Covent Garden with the Royal Ballet at Lucca’s Cinema Centrale near Puccini’s statue in Piazza della Cittadella. It’s on today. Thursday 8th December at 8.15 PM and it’s the impeccable Peter Wright production too! Of course, there are umpteen versions and variations of the ‘Nutcracker’ and each ballet company does their own take. It wasn’t surprising that for their one night at Lucca the Moscow ballet relied on a recording of the music. There just wouldn’t have been time to arrange a live orchestra to interpret the timings and sequences of the company. There is no resident ballet company, unfortunately, in Lucca as there is, for example, in London and no orchestra to practise with them. The Moscow ballet production was delicate, humorous and very athletic. There were some spectacular poissons and fouettes, especially in the second act where the pas de deux was most passionately done. Who could not fall in love with a ballet that includes romance, dreams and fantastic visions such as described in Hoffman’s original story. What a wonderful start to the Christmas season with a ballet that includes everything from gingerbread soldiers, a battle with evil mice, sweets in profusion, snowfalls, dancing flowers, a prince charming and a bewitching fairy. It truly puts one in the mood for the festive season like no other piece ever possibly could. And here is ravishing music written by a composer who just less than one year later died mysteriously, (some say by suicide over his ‘shame’ at his sexuality but the matter has never been properly cleared up). One thing is certain: we departed from the Giglio Theatre and entered Lucca’s Piazza Grande at midnight, our hearts filled with happiness and joy. The Christmas season had truly begun for us! Who can come to London for a few days and miss out on a visit to Covent Garden? Combined with an evening at the Royal Opera House it is one of the city’s must-do’s. Last Tuesday we attended the 368th performance of ‘La fille mal gardee’ , the oldest ballet still in repertoire, with Frederick Ashton’s charming choreography. We’d seen the ballet many years before and it was quite wonderful to come back to it especially as supernally gifted Natalia Osipova was in the role of Lise, widow Simone’s furtive daughter who successfully avoids the clumsy advances of rich vineyard owner Thomas’ clodpoll son Alain to be finally united with her lover Colas. Who cannot forget the widow, danced as a characteristic ‘dame’ by Thomas Whitehead, joining in the famous clog sequence ‘en pointes’ or the maypole and ribbon dances or the dance of the cockerel and his harem of hens (originally real poultry was used, sometimes with disastrous results when they fell into the orchestra pit) or the exquisite ‘Elssler’ pas de deux in the second act. The audience threw away any trace of British reserve and the cheering and applause at the end of this gorgeous display of home-grown ballet was quite italianate. And with our well-sighted amphitheatre seats at just 24 UK Pounds each it was certainly a best-value night out in anti-brexit london. Ps to pick up your pre-booked tickets a credit card is now not enough. One should print out one’s e-ticket or display it on a smartphone. Also the only entrance is from Bow street as a new building phase is in operation. 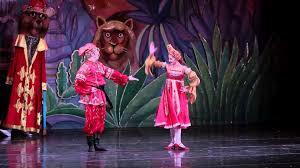 ‘The Nutcracker’ is surely one of the most charming of all ballets. Love is mixed with dreams. The enchanting scenery of the Moscow Ballet makes the viewer a participant of Hoffmann’s fairy tale. With its fabulous features and happy ending the tale is pervaded by a captivating celebratory atmosphere made up of sweets, toy soldiers, the Christmas tree, snowflakes, dancing flowers, mice, wonders, princes and fairies. It’s a ballet that captivates children and adults alike. ‘The Nutcracker’ is indeed the epitome of the magic of Christmas itself! No respectable visit to London can be complete without attendance at that hallowed hall of increasingly superlative excellence to the arts of opera and the ballet, the Royal Opera House at Covent Garden. One should get there early so as to enjoy the street artist shows and the shops in the ex fruit and veg market (I can still remember the traders and porters in the days when going to hear the Pink Floyd at Middle Earth and Gandalf’s garden. Covent Garden is perhaps London’s only authentic Italian-style piazza. The colonnade is not complete (although further tracts of it were built as a result of the opera redevelopment a few years ago) but it does give a very clear picture of what the original architect Inigo Jones envisaged when he designed it in the seventeenth century. We really enjoy opera at the Garden but principally we go there for the ballet which is entering into yet another golden phase. As part of Shakespeare’s four hundredth death anniversary there was a production of The Winter’s Tales with choreography by Christopher Wheeldon and music by Joby Talbot. To say I was gripped through the long three acter would be an understatement. The performance was a triumph and leading dancers Sarah Lamb as Perdita and Joe Parker Mamillius received an Italianate-style scream of approval from the audience at the end. Wheeldon, who is barely forty years old, is the true successor of Kenneth MacMillan. His spectacular success with ‘Alice in wonderland’ was the first new full length ballet produced there for over twenty years, and the Winter’s Tale, immaculately true to Shakespeare’s supreme example of his late romance writing style, worked equally well. For me the music fitted the action to a T. Talbot is a highly versatile composer for the concert hall, the cinema, the television (League of Gentlemen) and now, more than ever, the ballet. His music is complex but easily listenable, highly atmospheric and, although talking its cue from the more creative aspects of minimalism, weaves obsessive themes into a well integrated whole with inspiring melodies and some ravishing orchestral effects. The on-stage band where prince Florizel meets and fall in love with Perdita, the rustically brought up but aristocratic daughter of the jealously punished Leontes, was a true coup de musique. This band consisting of bansuri (Indian flute) dulcimer, accordion and percussion accompanied some truly Balkan-inspired choreography to exciting effect. The ROH happens in many respects to be one of the best value of top-class theatres in London. With mediocerly placed tickets at £50 pounds for routine shows it’s a bargain to pay £25 for a full-view amphitheatre seat for a spectacle which few world theatres would be able to equal. Ballet at Covent Garden is truly on a high and that golden partnership between Wheeldon and Talbot is a miracle. Rarely have I been so transfixed, transported even, by the Royal Ballet’s triple bill at Covent Garden last night, all choreographed by the supreme Christopher Wheeldon who has built on the great tradition of Ashton and Macmillan and transformed it into something completely his own. The first, piece “After the Rain” with music by Baltic minimalist Arvo Part ended with a pas de deux danced by Thiago Soares and David Donnelly which was utterly hypnotising, so sensuous and yet so spiritual it was. I’ve never heard the audience so quiet! After the abstract, the narrative. In ‘Strapless’ the society beauty, Amelie Gautreau, danced by Natalia Osipova, looks back at the scandal her then risque-considered portrait in a strapless dress by John Singer Sargent caused at its original unveiling in 1884 (Madame X). Recognised, Amelie, became an outcast only to retain her perennial beauty in the now much admired portrait. Shades of a Parisian-set Oscar Wildeian tale, thought I. Coming so soon after our Toulouse-Lautrec viewing at Pisa I found the settings and the costumes brilliant. Much of the choreography was too, with a can-can sequence that lifted the flouncy skirts up both front and rear. The pas de deux, so often the real heart of a ballet, was interpreted by Osipova and the painter, interpreted by Edward Watson, with luscious sensuality. Wheeldon loves playing bodies not merely with each but through each and langourous horizontal movements and graceful arm threading abound.. If only this, the true side of Ezio Bosso had been shown at the Sanremo festival! After all, a full symphony orchestra was there at the Ariston and ballet did start in Italy. Some things I shall never understand. (See my post a couple of days ago on that incident.) All I know is that Bosso writes divine ballet music and must have truly been over the moon with such dancers as Brunell, and Muntagirov giving their all last night. We left our Royal box exhilarated. (True! Behind us was the chair Queen Victoria used while enjoying the theatre with her dear Albert and an attendant explained to Sandra that the big mirror on one wall was asked to be placed there by the Queen’s attendants, squashed at the back of the box so that they too might see something of the spectacle reflected in it. So, for us it was a majestic evening of British ballet in more ways than one! The biggest hit of the seventy year old festival and its one truly international success was Domenico Modugno’s ‘nel blu dipinto di blu’ aka ‘volare’ of 1958. Originally, the competition winner was the song writer and each song was sung by two separate singers. Now, however, it’s firmly based on the singer or group. This year I Stadio won with ‘un giorno mi dirai’, a song which is an indirect homage to the great song writer Lucio Dalla who died in 2012, and for whom I Stadio were the backing group. Italians either love or loath Sanremo and foreign viewers will hold the same polarised views. Divided into separate categories for established and for new artists Sanremo also has a celebrity spot, this year crowned by Elton John and Laura Pausini. The real coup d’eclat this year, however, was the appearance of the highly listenable and acclaimed classical musician, Ezio Bosso. Regrettably suffering from SLA, an extreme form of multiple sclerosis, since 2011, Bosso is making a presence in London this week since his music forms part of a triple ballet bill with the Royal Ballet at Covent Garden which we’ll be attending this evening. The ballet is called The golden hour’, originally written for the San Francisco ballet, with choreography by Christopher Wheeldon. 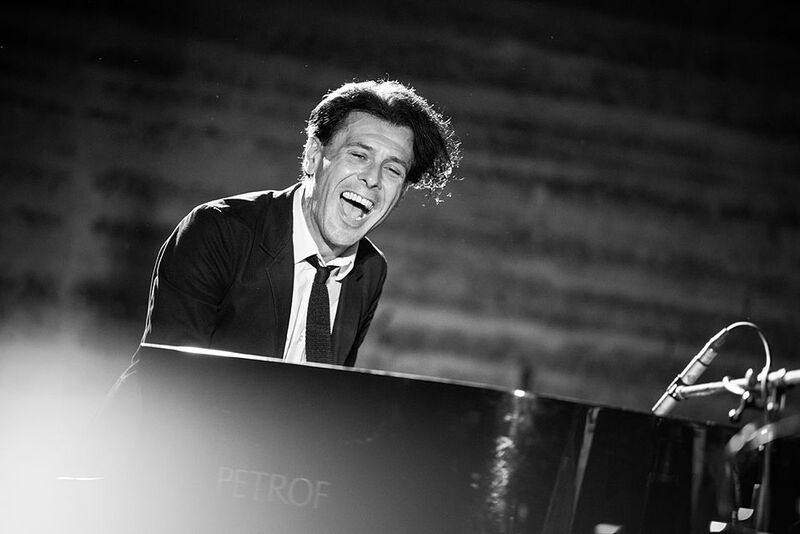 Ezio Bosso made a heart-melting impression both at Sanremo’s Ariston theatre where the contest has been held since 1977 and in the homes of the eleven million guests glued to their sets during the five days of the festival. Unfortunately, the emphasis was on Bosso’s semi-physical-incoherence as a speaker because of SLA contrasted with his dexterity on the keyboard when playing his enchanted piece ‘following a bird’. What wasn’t mentioned because of the festival’s characteristic dumbing down to the audience is that Bosso is also a classical composer of four operas, four symphonies and is a conductor with such soloists as Brunello and Krylov and orchestras like the London symphony. Indeed, Bosso’s mentor was none other than the great Abbado himself. Ezio Bosso certainly did that at Sanremo, bringing as one the festival’s lovers and loathers as never before – we will be truly privileged to hear him tonight at one of the world’s greatest theatres, London’s Royal Opera House. “Vivere e contemplare il ritmo nel pianoforte dell’Otto-Novecento” (Living and contemplating rhythm in the nineteenth-twentieth century piano) is the title of the recital on Friday, November 27th at 9 pm in the L. Boccherini Auditorium in Piazza Del Suffragio. Pianist Caterina Barontini, just in her twenties, plays Schumann’s Humoreske op. 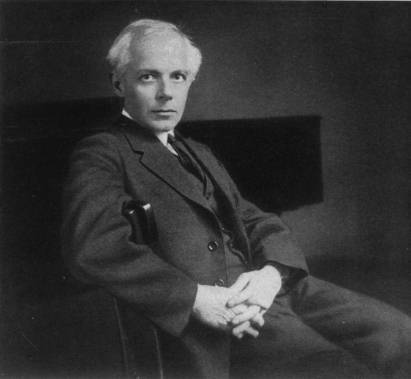 20, Ravel’s Jeux d’eau, Debussy’s Jardins sous la pluie (from Estampes) and Bartok’s six dances in Bulgarian rhythm (from Mikrokosmos). Each piece will be introduced by Albarosa Lenzi Barontini. “From Bach to Monk, through Sax …” is the title of the concert on Thursday, December 3rd at 9 pm in the “L. Boccherini” Auditorium in Piazza Del Suffragio. The Timeless Saxophone Quartet consists of Sandro Tani (soprano sax), Yuri Nocerino (alto sax), Giovanni Baglioni (tenor sax) and Marco Vanni (baritone sax). The group will present a varied program, with works by J. S. Bach, Michael Nyman, Thelonious Monk, Karman Khacheh and Ahmed Khalil. The Timeless Sax Quartet was formed by established musicians who can all boast a long experience as soloists, in various groups and with prestigious Italian orchestras. The ensemble is a blend of tradition and innovation, interpretation and improvisation. It’s an alchemy of sounds made up of prime ingredients: Bach fugues, blue notes, swing and a touch of the exotic, all expertly mixed by the four saxophone artistes. On Monday, December 21st, at 9 pm, at the Teatro del Giglio there’s a show organized by “D’Alessandro & Galli” titled “Bestemmia d’amore”, (love’s blasphemy) with Pippo Delbono / voice acting and singing, Enzo Avitabile / voice, small harp, drum and sopranino sax, Gianluigi Di Fenza / Neapolitan guitar and Carlo Avitabile / drums. Set design by M. Piero Pizzi Cannella. “Blasphemy of Love” is a piece where words become music and discuss today’s uncouth, sacral, black, bright, hard and soft times. It’s to speak again of love: love blasphemed, wounded, drowned, killed, revived, killed again, yet still alive. This concert is a stage in the artistic journey that Pippo Delbono is conducting with Enzo Avitabile, an artist unique in his ability to combine the traditions of blues, jazz, funk, rock with classical and baroque, to embrace ancient folk and Neapolitan traditions creating an original and unique sound. On Thursday, December 3rd, at 8.30 pm in the Teatro del Giglio, the Moscow Ballet will stage Tchaikovsky’s “Swan Lake” with Petipa’s choreography. Soloists are Svetlitsa Evgenii and Olga Kifiak. Tickets range from 20 euro (gallery) to 40 euro (stalls). Swan Lake, perhaps the most famous ballet in the world, continues to keep all its charm from the lunar atmosphere that accompanies Odette’s appearance, to the dual role of Odette-Odile, white swan and black swan, in the eternal struggle between Good and Evil. The romantic plot tells the story of Princess Odette. The sorcerer Rothbart, whose overtures of love the princess has denied, casts an evil spell on her forcing the princess to spend the day under the guise of a white swan. The curse can be defeated only by an oath of love. Prince Sigfrid meets Odette at night, falls in love and promises to save her. At a party in Sigfrid’s palace the magician presents his own daughter, who has taken the form of Odette, to the Prince who, convinced of being in the presence of his beloved, swears eternal love. The magician then reveals the girl’s true identity and Odette, destined for death, disappears into the lake. Sigfrid, desperate, decides to follow: it is this gesture that breaks the spell allowing the two young lovers to live happily ever after.